It seems there are no limits to the number of travel tips out there about how to pack light. However, we wanted to know the single most important packing light tip so we reached out to our readers to find out what they thought. 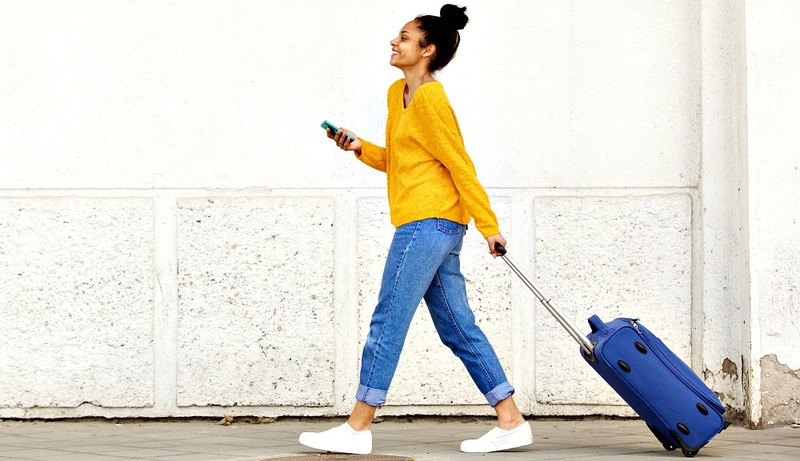 From luggage to shoes and toiletries to laundry, find out what our readers shared as their all time best tip for packing light! We share a lot of travel tips, which come from a mixture of our own experiences and our readers’ packing tricks. So when we asked them, “What is your number one best tip for packing light?” we were so excited to hear their responses. Here they are! 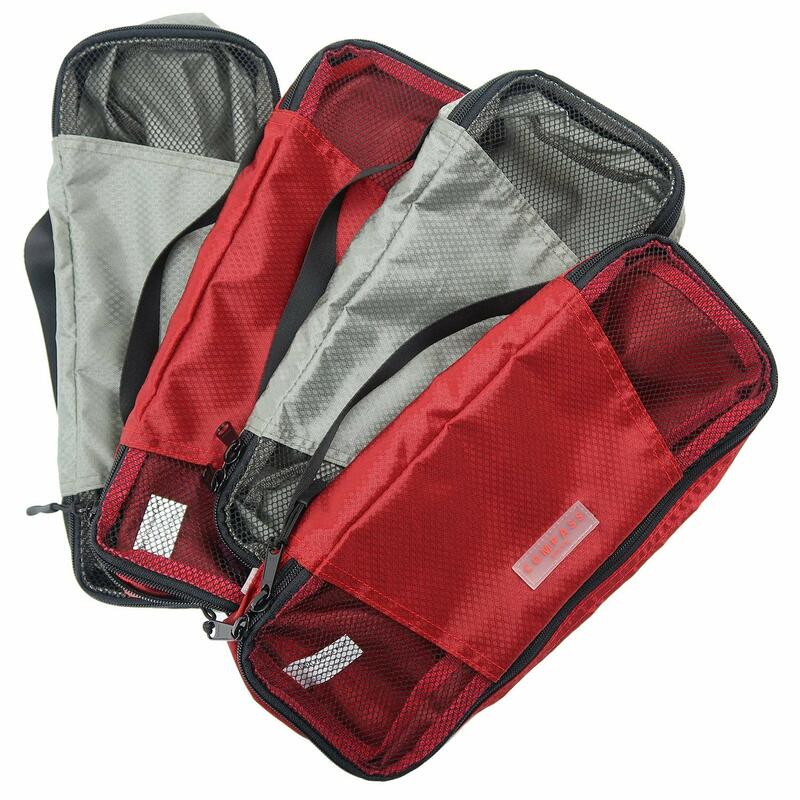 Packing cubes and pouches for organization so you have a place for everything and everything in its place. Take along a few extra gallon Ziplocs. They can hold wet items, liquids, food, etc. Take along some shower caps to use as shoe covers to keep your clothing in your luggage clean. I wear my jewelry when traveling so I don’t have to pack it. I love the security of this, too! I always take a ‘space bag’ for my dirty clothes that I can squeeze the air out of. A great space saver! Roll and rubber band your clothes in packing cubes to save space when packing. My top tip is to roll your clothes. You use less space and fit so much in. Put white tissue paper between every layer of clothing. Fold as little as possible laying each item out flat one on top of the other. Include extra lightweight throwaway cheap hangers. I have a toiletry bag packed with small versions of my favorite needs. Then I can throw makeup and a hairbrush in and off I go. It’s great for unexpected travel or a busy schedule right before travel. Pack for one week no matter how long you’ll be gone. Pack items that look good, are able to be worn multiple ways, and are able to be hand washed in the sink. I recommend planning several days or weeks in advance! Plan outfits based on activities and account for weather. Everything MUST coordinate with everything, write it all down, don’t deviate. Plan to hand wash clothing! Pack a little detergent. Once you realize you can rewear clothing often, you also realize you need much fewer clothing items. Keep searching until you find your perfect combo of bag/packing cubes/whatever and absolutely do not stress if you hate something that other people think is fabulous. It’s your trip and it has to work for you! If you’re asking yourself if you really need to pack it, the answer is categorically no! After packing your bag, make sure you can lift the bag. Trains and hotels require a lot of lifting. 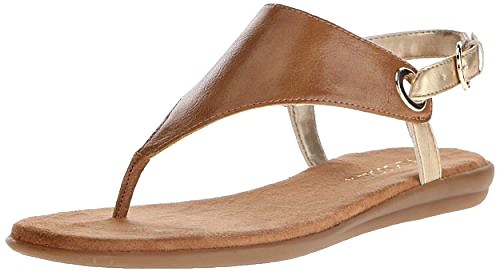 If you are short on space, take the smaller version of some things where appropriate: a midi skirt instead of a maxi skirt, a waist-length cardigan instead of a long one, capris instead of long pants, three-quarter length sleeves instead of long sleeves, tank tops instead of T-shirt, and flats instead of wedge heels. Take half of what you think you need but take what you really love. 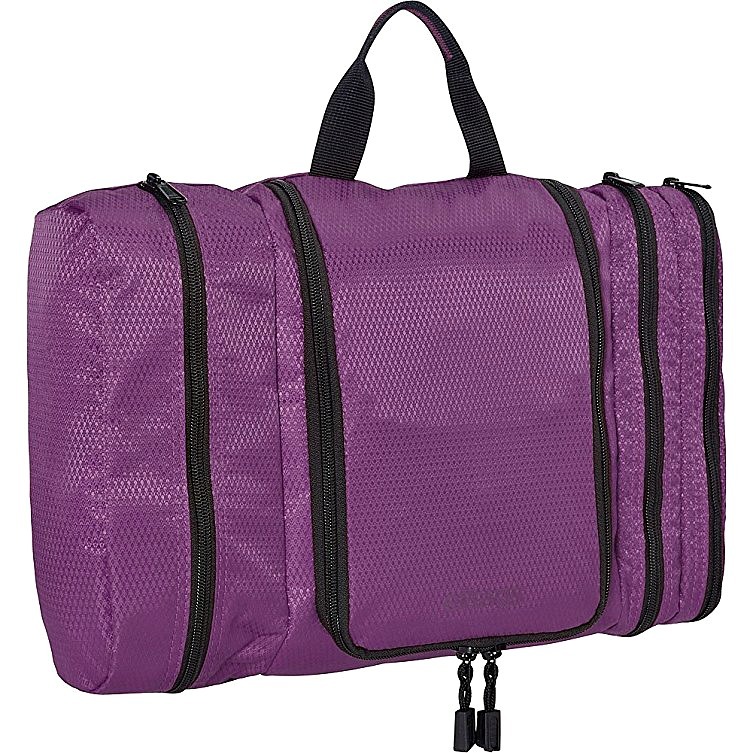 The Best Hanging Toiletry Bag for Women? 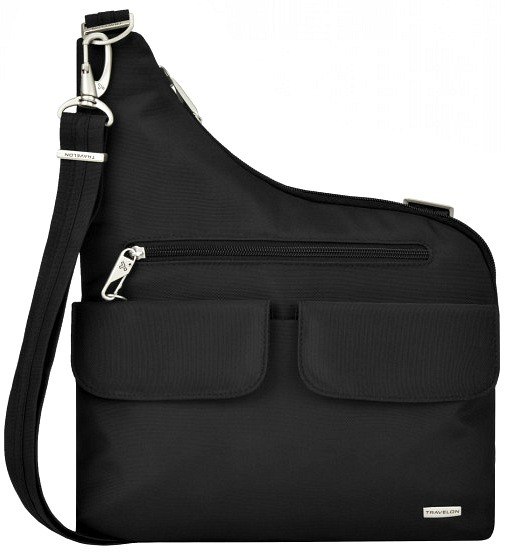 Travelon Anti Theft Cross Body Bag – best seller! Choose the smallest piece (and type) of luggage you think would be appropriate for your trip (carry-on only! ), and pack no more than what can fill it. The more I travel, the smaller my packs are getting. My last trip was a 17L backpack and a purse. Take along a large bag for your personal carry-on/under the seat stow, and get as much in it that’s allowable. I take a backpack with my electronics and a sweater that can be used as a rolled up pillow or an extra layer. Downy anti-wrinkle spray! It helps refresh clothes by taking out the smell of smoke and food as well as refresh rooms while you travel. Always pack a package of facial tissue or Kleenex in your purse or backpack. They are handy when you encounter a restroom that’s out of toilet paper. A travel warrior friend recommends shaving cream to take out stains. She swears by it. Facial cleansing wipes. Try them before your trip, as you don’t want to get caught with breakouts on your vacation. Carry more than your travel days count to use on the days you travel in the plane to refresh, and even for personal hygiene. Take a prescription of antibiotics just in case! Bose noise canceling headphones. They’re a bit high maintenance but they’re so worth it on long flights! Pack clothing items that coordinate together so you can use each piece in multiple outfits. Bring ‘double duty’ items, such as pieces that work for day and night, hot and cold weather, tops and bottoms, etc. Color coordinate your clothing so everything works together. I always have a scarf. Always. For warmth, for decoration, for whatever. I love cashmere or alpaca for warmth, softness, and light packing. I bring a pashmina. I can look semi put-together in it when I’m walking around or use it as a blanket on chilly flights. Bring a sarong with seams all the way around. You can use it as a scarf, dress, towel, beach blanket, blanket, sheet, and skirt. Make sure all your clothes coordinate, are light, suitable and wash and dry quickly. Bring three shoes and one bag that match each other and all your clothing. Try on all of your clothing and outfits you planned out before you go. You might discover that what looked so good together laid out on the bed doesn’t really work well on your body. This helps ensure you are only packing outfits and pieces you love! I always keep a long-sleeved quick-dry black tee in my bag for cold hotel rooms, snorkeling in Zanzibar, long (unscheduled) winter layover in Amsterdam when I was packed for Uganda, kayaking in California, and other unexpected events. What’s your absolutely best tip for packing light? Share in the comments below! 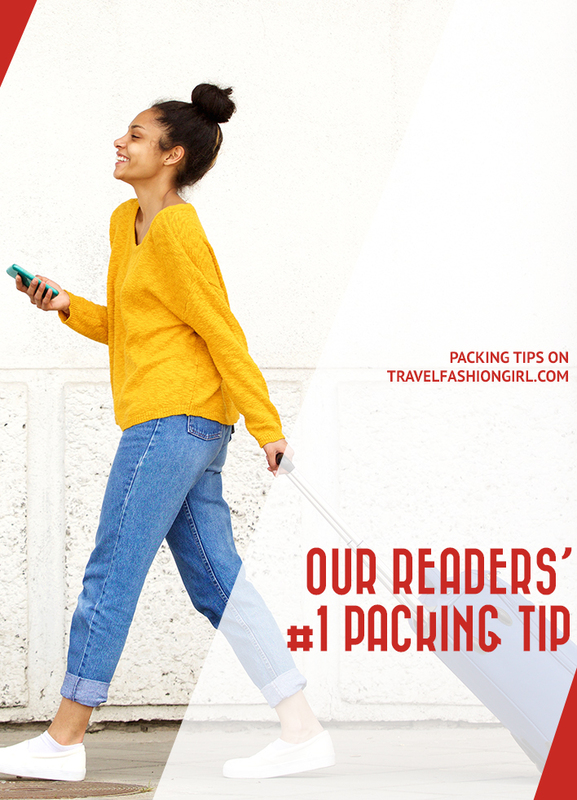 I hope you liked this post on our reader’s best packing light tips. Please share with your friends on Facebook, Twitter, and Pinterest. Thanks for reading! To pack medications: put each separate med in a small ziplock like you get at a craft store, get an extra label from the pharmacy and attach to outside of ziplock. Then put all of them in a larger quart bag. Be sure and put it in your carryon. Saves space and weight over bottles. Take extra of each med in case you get delayed.